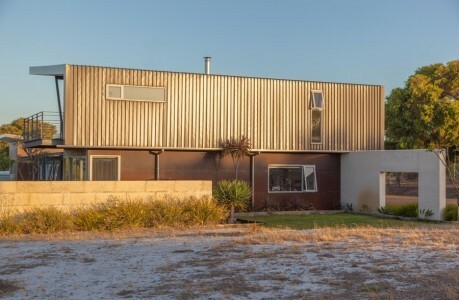 Designed as an energy-efficient eco house for a young growing family located on a 120-acre Yallingup farm, the project by Threadgold Architecture embodies the clients’ ideals: to live sustainably and off-grid. The brief was to create a self-sufficient home, incorporating passive solar design principles to reduce energy consumption. 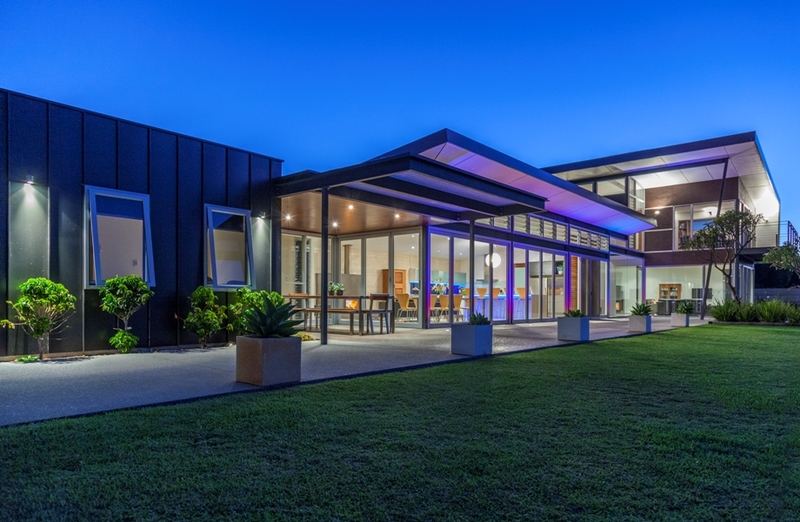 The residence optimises environmentally sustainable design principles by being sited at elevation to take advantage of views and cooling breezes. It is surrounded by citrus, nut and pomme fruit orchards, set out to permaculture principles as part of the design brief. 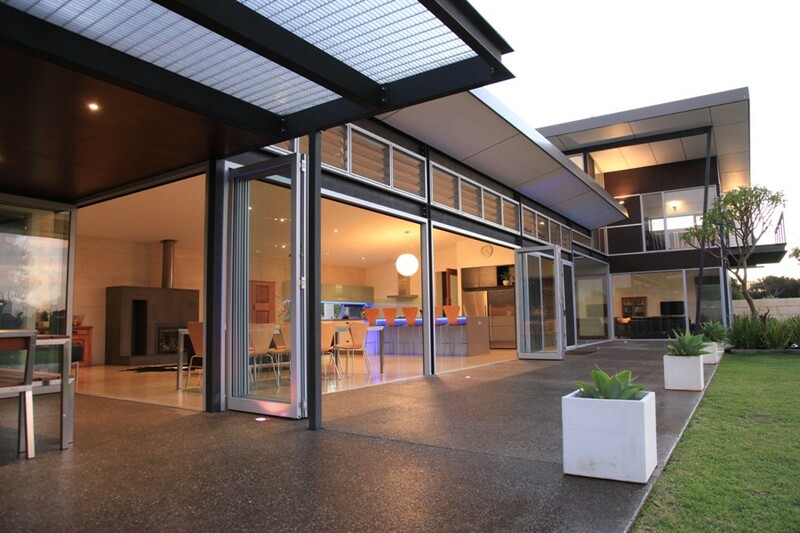 Passive solar design principles are enhanced through full-height glazing to north elevation, rammed limestone to south elevation, end folding glass doors, honed concrete floors and operable glass louvres to eaves. 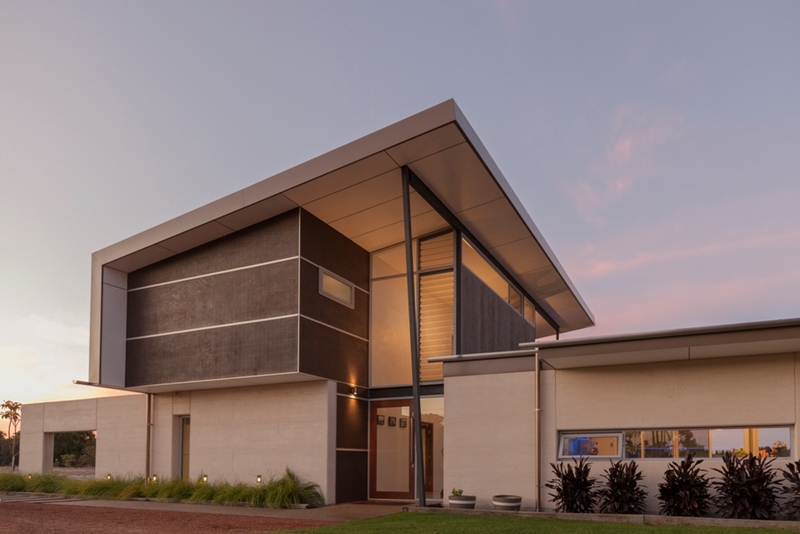 The residence incorporates low embodied energy materials with rammed limestone to the south elevation for heat retention, Corten steel cladding the west elevation and the fit-out utilises locally sourced recycled jarrah and sheoak hardwood species with a high natural resistance to white ants. The design includes a 5.5kw photovoltaic array discretely hidden from view behind the single lock standing seam anthra zinc-clad parapet, with rainwater harvesting and a water storage capacity of 550,000 litres. Hot water delivery is supplied via 440-litre solar hot water system with Chazelle Chimnees wood fire box boosting.